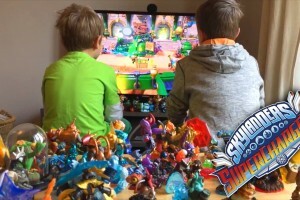 Skylanders Trap Team is coming to iOS, Android, and Kindle! 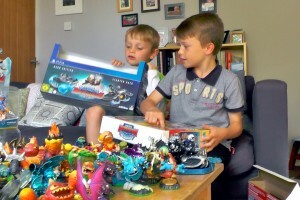 Skylanders Trap Team looks amazing, but there is one draw-back: you can’t play it on the go. Or that’s what we thought, until now! 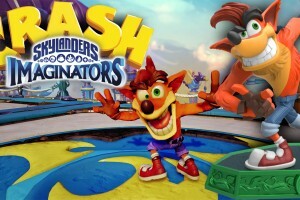 Activision has revealed that Skylanders Trap Team will be available on iOS, Android, and Kindle! 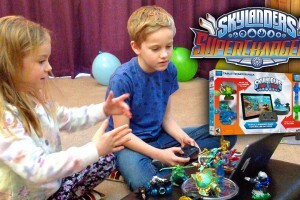 Skylanders Trap Team Mobile is the name of this new amazing game, and it’s the full console experience on your tablet. 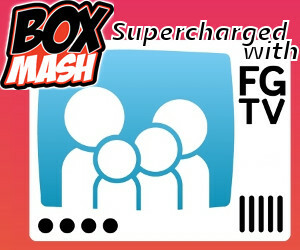 Andy from Family Gamer TV got to go hands-on with the game to report if it’s as amazing as it sounds. 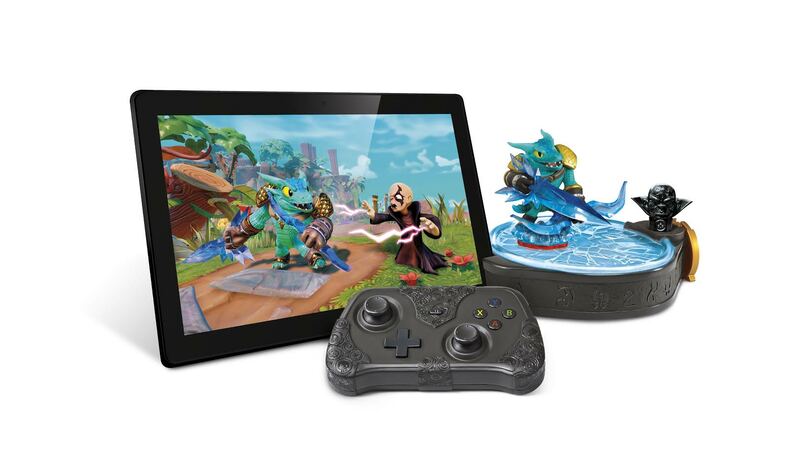 Skylanders Trap Team Mobile uses a special Portal of Power that acts as a base for your tablet. You play with a bluetooth controller, and the game is just like the version on consoles. 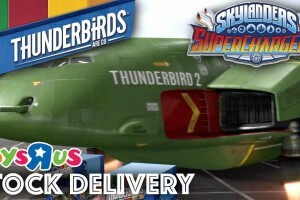 The graphics are very similar to the Xbox 360 edition, so it looks amazing too. 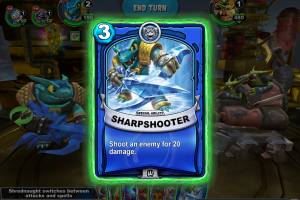 You can play the game with your normal Skylanders characters, and the portal works exactly the same as the normal Traptanium Portal, although there’s no speaker so your trapped villains wont talk through the portal. 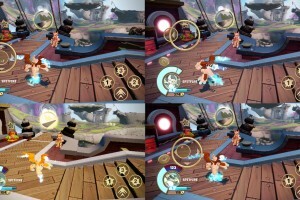 You can even play without the portal, as the game has two “instant” characters that can be used when your figures are not close (Trap Shadow and Food Fight). 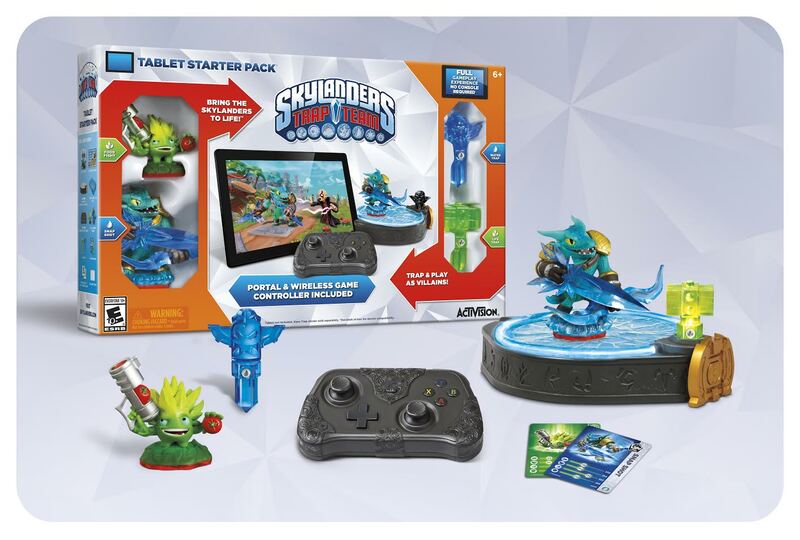 The starter pack comes with Snap Shot, Food Fight, the Portal of Power, two traps, and a controller. The app will also be free on the App Store as a demo, letting you play the first few levels for free with the instant characters. 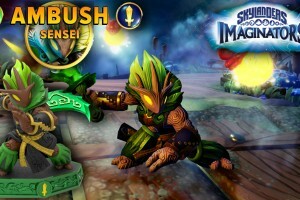 The Skylanders Trap Team Mobile release date is October 5th, the same day as the consoles! 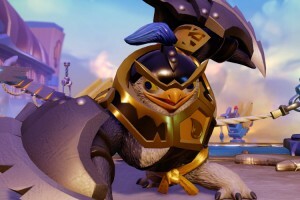 Excited for Trap Team but getting impatient waiting around? 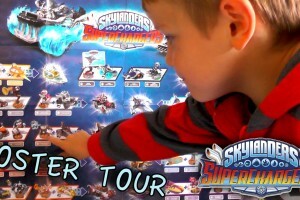 Then why not watch 10 Awesome Skylanders Videos to help you pass some time before the new game comes out. 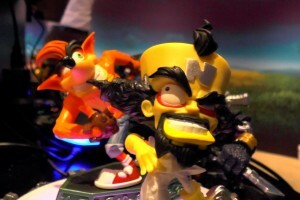 If you loved this Skylanders video, follow us on Twitter for loads more amazing stories and gameplay footage, and subscribe to Family Gamer TV on YouTube.